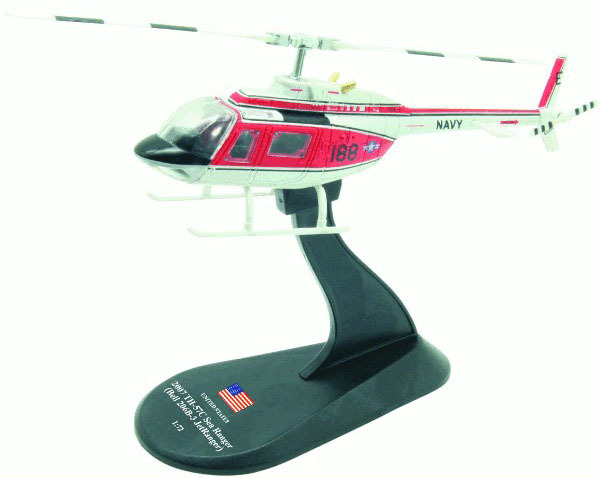 The TH-57 "SeaRanger" series is a derivative of the commercial Bell Jet Ranger 206. Although primarily used for training, these aircraft are also used for photo, chase and utility missions. The JetRanger was initially designed to compete in a U.S. Army light observation helicopter competition. Bell lost that competition but the 206 was commercially successful. The TH-57 Sea Ranger provides advanced (IFR) training to several hundred aviation students a year at Naval Air Station Whiting Field in Milton, Florida.